The microphone cable is mainly used for connecting microphone and audio equipment. It should be classified for the weak control cable in the major categories of cables. The method of making is adopted with single core and double core and their outer packeted shielding. Audio connection cable is short for audio cable. It is used to transmit electroacoustic signals or data. Broadly speaking, there are two major types of electrical signals and optical signals. Video cable is used to transmit video signal, which is a coaxial cable used to transmit video band analog signals. 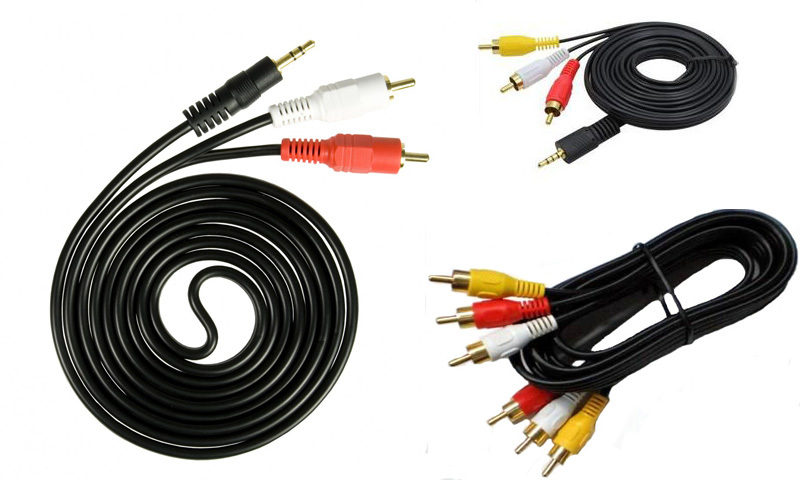 Video cables generally have two types of impedance 75 and 50 ohm, and it can also be divided into -3, -5, -7, -9 and other models in accordance with the thickness. According to different material, Video cabe is also divided into two types of SYV and SYWV. FLECONN can custom speaker/audio/video cables by customer's concrete specifications. This is 3.5mm Male to 3.5mm Male Stereo Audio Cable. It has a male 3.5mm mini plug.And it is perfect to connect two devices with 3.5mm Stereo jacks, like Cell phones, Mobile Phones, Android Phone, Some MP3 players, etc.